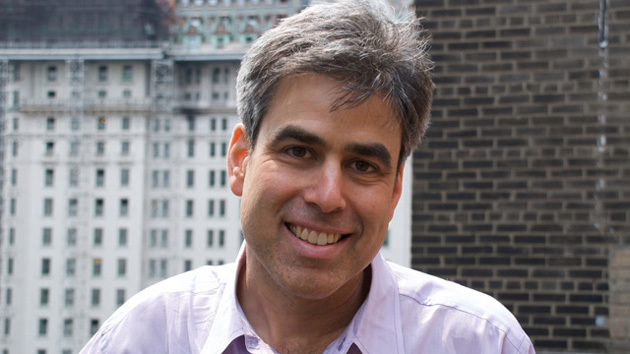 The driving force behind the conference was University of Virginia social psychologist Jonathan Haidt, author of The Happinesss Hypothesis and the recently-published The Righteous Mind, whose research indicates that morality is a social construction which has evolved out of raw materials provided by five (or more) innate "psychological" foundations: Harm, Fairness, Ingroup, Authority, and Purity. Highly educated liberals generally rely upon and endorse only the first two foundations, whereas people who are more conservative, more religious, or of lower social class usually rely upon and endorse all five foundations. More recently, in February 2011, in THE BRIGHT FUTURE OF POST-PARTISAN SOCIAL PSYCHOLOGY", he called attention to the fact that 99% of social psychologists on the psychology faculties of American universities are liberals. The publication last week of his mangum opus, The Righteous Mind (already a NEW YORK TIMES hardcover bestseller), pulls together Haidt's provocative ideas and focuses our attention on this innovative and original thinker. Today I noticed that various luminaries among the Edge crowd were quoting him, emailing each other and arguing about his ideas and conclusions. Edge has an editorial policy of staying away from books, and focusing instead on the questions people are asking themselves today, not several years ago when they were contemplating and writing their books. In this case, the explosion on interest in Haidt's work and the questioning being done by the Edgies who are now publicly airing their responses to his interesting and controversial ideas, is new, illuminating, and worth presenting as an Edge conversation. The way I understand Jon's point is that the conservatives are not going to embrace any story held sacred by liberals. Thus, for example, there will never be a coming together on climate change. And if long-term responsibility becomes sacred to liberals, same deal. There's an interesting Edge conversation here. I woud like to hear Jon's response to your comment and also hear from a few other smart people. You edit. Edge will host. Due to Edge's editorial policy (no selling from the stage, no book promotion, etc. ), we'll focus on "Pondering Haidt's Hypothesis" (your coinage) rather than his new book The Righteous Mind. Sure, frame it however it works. This is truly illuminating. Yes, the sense of burning injustice that animated the civil rights movement is largely gone because much of the worst injustice is gone: Blacks, women and gay people cannot be described as starkly oppressed, as was once the case. Something else is at work here. There is a broad strand of antipathy to losers in American culture, which distinguishes it quite sharply from Western Europe. The tolerance for inequality of outcomes runs quite deep. This is where the definition of fairness differs between the left and the right, and the broad culture (and the independents) are probably closer to the right than to the left on this issue. The developments of the last decades have left the left with less to complain about, and with complaints that have less resonance. Actually, conservatives frequently have come over to positions advanced by liberals. One can see this in how the culture-war debates evolve. Today there is a debate over gay marriage. Not so long ago the debate was over the criminalization of homosexual behavior—a debate the conservatives lost and gave up on. Likewise, compare the debate over requiring religious institutions to offer health insurance that covers contraception -- the culture war issue du jour – with the 1960s debate over whether contraception should be legal in the first place. Here, too, the conservatives lost and gave up. Racial segregation, women in the workplace and then the military, prayer in schools, in-vitro fertilization, decriminalization of marijuana, no-fault divorce—and in earlier centuries, slavery, heresy laws, religious persecution and disenfranchisement, absolute monarchy, corporal punishment in the legal system—the trend in the West has been away from legal systems based on authority, purity, and conformity and toward those based on autonomy and fairness. To a lesser extent the trend can be seen elsewhere in the world (e.g., the enfranchisement of women, the decriminalization of homosexuality, the replacement of Jim-Crow laws with affirmative-action laws, the rise of democracies)—these are global (though jerky and geographically uneven) long-term trends. The current divide between American liberals and conservatives is embedded in a longer continuum that stretches more or less from Denmark at one pole to Saudi Arabia at the otherwith, perhaps, the entire world sliding slowly and jerkily in the Denmark direction (as seen, for example, in the very late but historically inevitable abolition of chattel slavery in Saudi Arabia and Yemen in 1962). Jon’s theory of moral foundations is indispensable in making sense of these trends. What is less clear to me is whether all of the foundations are equally justifiable on normative grounds, and whether the current weightings that liberals and conservatives give them are irrevocable and beyond rational debate. It's clear that liberals and conservatives have broadly different moral 'mixes' going on. But I think the picture is more complicated: in different situations you NEED different moral mixes—for instance in war you'd definitely want less emphasis on the fairness/care mix and more on the loyalty/respect one. Even within a lifetime one would (should) move through a variety of moral mixes. What's that famous sentence?..something like "If you're not a socialist when you're young you lack a heart...if you're still a socialist when you're old you lack a brain". I think that captures it well—the idea that one moves through different moral structures as the situation dictates, and as your own personal development dictates too. Haidt can seem to give the impression that the conservatives got it right and the libs got it wrong—because it sounds better to have a bigger variety of moral bases to call on, and the conservatives clearly do. But what about the possibility that some of those moral bases are no longer applicable? It could be that the liberal mix—with its emphasis on just two bases, is a perfectly fitting response to a certain type of social condition...and of course it could also be the case, as you suggest, that that condition no longer obtains. But it worked while it was working! It wasn't wrong. As Octavio Paz once said of communism "Just because it was the wrong answer doesn't mean it was the wrong question". And I think, for all his brilliance, Haidt doesn't make that clear. My feeling is that for a phase of our (you-and-me our) history, the liberal consensus was good and fruitful. And now it needs to be rethought, and we have to start looking to our traditional adversaries for some of their wisdom. But, the other thing Haidt never suggests: they also ought to be looking to us for some of ours. I love his hypothesis, but I also see a danger that there's a bit too much mea culpa-ing going on. It isn't as if the conservatives got it right either: we all need to hear that crunching sound in our heads. Your point about goals versus moral order is well put. That really is a serious difference. If only there weren't so many truly beastly people on their side, I would be able to embrace them more wholeheartedly. The conservative that’s embraceable in the US is David Brooks at the New York Times. No one else comes close, that I’ve found. p.s. By the way, I'm having a public conversation with Haidt in London on April 11...so this is good practice! 1) Stewart Brand's initial point: The narrative no longer compels. Yes! I think this is a superb insight. It explains why American liberalism was so successful in the 20th century, as the struggle against fascism morphed into the struggle against racism and other forms of oppression. It explains why the passion has ebbed as the left succeeded. Danny then amplified the point by noting that the worst injustices are gone. Yes. When racism, sexism, and the cruelty inflicted upon civilians in Viet Nam were visible for all to see on the evening news, liberal arguments rested on a firm base of visceral support. Non-violence worked for King because the juxtaposition of peaceful marchers and hate-filled racists yelling epithets, or unleashing attack dogs, is about as stark a contrast of good vs evil as could be. Yes! Americans don’t care much at all about equality of outcomes. I draw on the work of Mike Tomasello to argue that there is a deep desire to “share the spoils” when people feel that they have worked together to create those spoils. In a small homogenous nation, this is much easier to achieve. Such nations can get great buy-in for a welfare state. But in a large diverse nation, this is much harder. The only people who seem to value equality of outcome in the USA is the far left. But everyone values equal opportunity, and the civil rights movement found it easy to show—dramatically—that America denied equal opportunity to African Americans. Later liberation movements could make the same case. But once gay marriage is achieved, there will be no more groups able to make the claim so clearly. The left should be thinking now about what it stands for after all the major liberation struggles have succeeded. (This was Stewart’s point). Yes! I said above that everyone values equal opportunity, which is a subtype of what’s called “procedural fairness” (as opposed to “distributive fairness”). Tom Tyler (NYU) has shown that everyone cares about procedural fairness, and they get angry when forced to play in a game that has been rigged. In the post-liberation world, when the older narrative is no longer compelling, I think the left’s motto should be Andrew Jackson’s campaign slogan from 1820: “Equal opportunity for all, special privileges for none.” The Occupy movement and the Tea Party are both mad as hell about special privileges, about being forced to play in a rigged game. They differ somewhat as to who is doing the rigging, but even Sarah Palin gave a speech denouncing “crony capitalism.” Brian is absolutely right that the Right will not lead this issue. Since the progressive era it has always been the left that is more concerned with good government and clean government–in part because they want to USE government to achieve their ends. Brian and John are right that the conservatives are unlikely to embrace an issue once the left makes it its own, but the key for the left is to find an issue that will inspire the left and bring along the center. Everyone is upset about corruption and special privileges. The challenge for the left will be that following this line will require them to alienate the groups that they bestow special privileges upon, such as unions and civil rights groups. Conservatives “stand athwart history yelling ‘STOP!’” (William F. Buckley). So I think Steve and Stewart have put their finger on an important idea for the left: It is indeed up to the left to lead – to point out where “progress or reform” are needed. And if they pick wisely and lead in ways that don’t alienate voters who rely on a broader set of moral foundations, then they win, over the course of just a few decades. So now the question for the left is: What’s next, and how will you get there? Will you learn from your past mistakes, learn to understand the intuitive reactions arrayed against you, and commit less “sacrilege” against the sacred values of mainstream voters along the way? If so you’ll get there faster, and with less collateral damage along the way. Who knows, you just might create a stable electoral majority which has eluded the American left for decades. I think the next big fight is crony capitalism. It’s money in politics, but it’s also rethinking capitalism beginning from the premise that capitalism is basically good, yet it only produces its bounty when markets are fair and efficient, not controlled by monopolists, and not populated by corporations freed to foist externalities on others. Only governments can exert such control over corporate super-organisms.